I mentioned this on Twitter as soon as it happened, but I never mentioned it here. 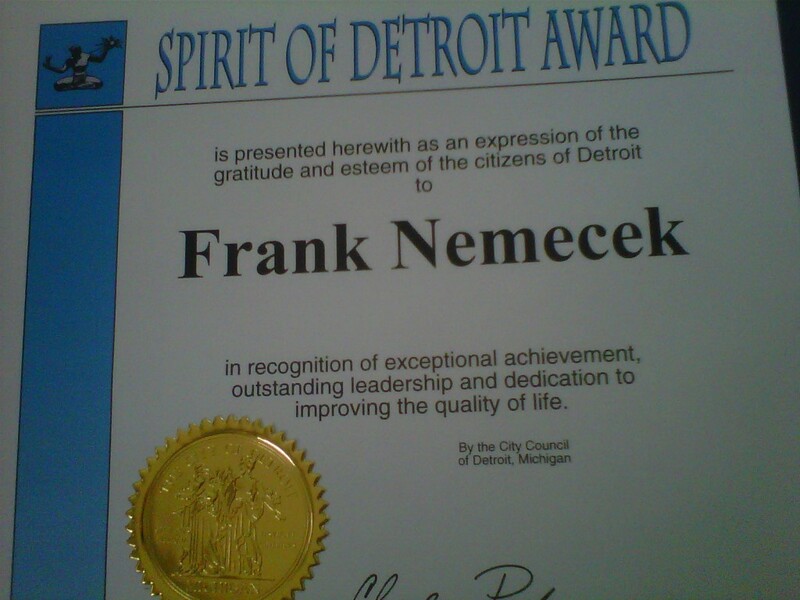 I was thrilled to accept the Spirit of Detroit Award from the Detroit City Council last month in recognition of my efforts around the Warrendale neighborhood. It's kind of cool to be recognized. 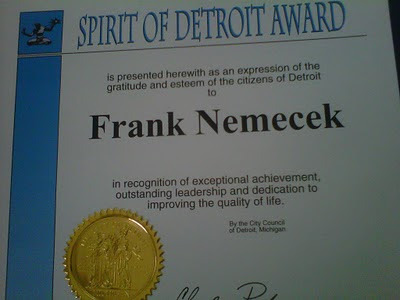 Congratulations, Frank! That is absolutely fantastic! You do work very hard, and I appreciate it, too. If we all could put in half your effort, just imagine what our little corner of the world would look like. Again, congratulations! Way to go Frank. You Rule.